Sicily is the largest island in the Mediterranean Sea, and an autonomous Region of Italy, along with surrounding minor islands, officially referred to as the Sicilian Region. It’s located south of the Italian Peninsula, from which it is separated by the narrow Strait of Messina. 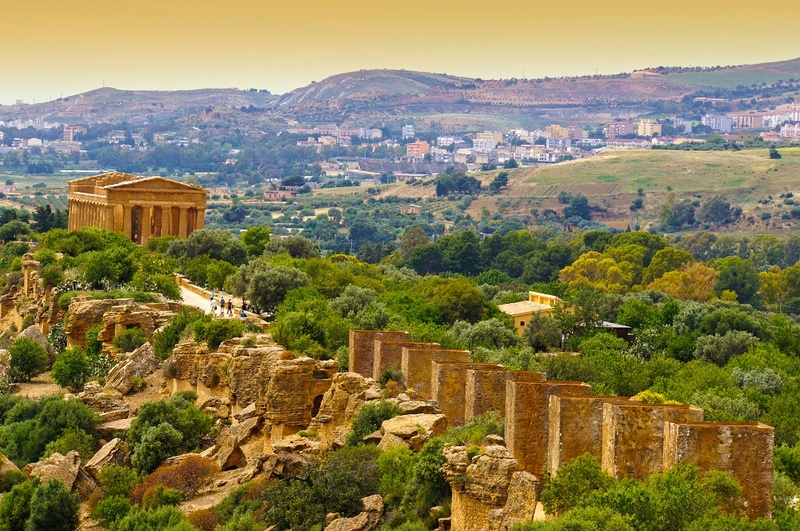 Sicily has been under the rule of many empires and countries throughout history, and humans seem to have been living there since at least 12,000 BC. The island has a rich and unique culture, especially concerning arts, music, literature, cuisine, and architecture. It is also home to important archaeological and ancient sites, making it all in all an excellent tourist destination. Take a look at our list of the top 20 things to do in Sicily. Undoubtedly the most iconic landmark of Sicily, Mount Etna is an active stratovolcano, and the largest one in Europe. In Greek Mythology, the deadly monster Typhon was trapped under this mountain by Zeus, and the forges of Hephaestus were said to also be located underneath it. Tourists can go on guided tours or check out the volcano by themselves. It’s an amazing place, to say the least. 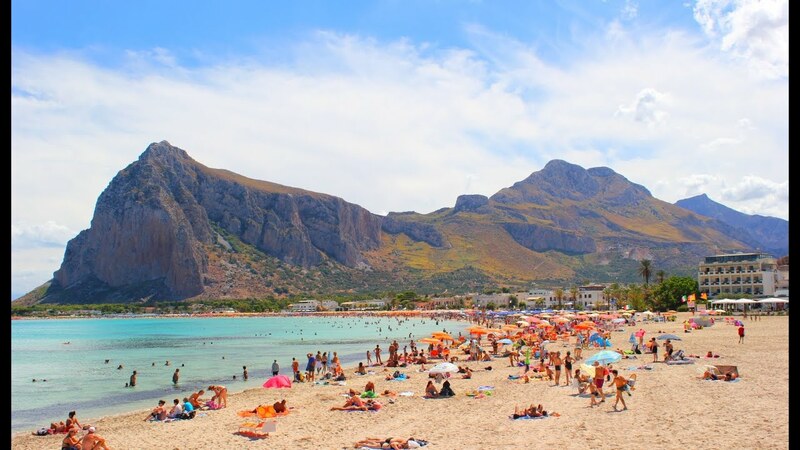 The town of San Vito lo Capo is said to have one of the most beautiful beaches in Italy, and this can be clearly seen. The limestone cliffs of Mount Cofano rise above the warm sands, giving this Sicilian shoreline a breathtaking backdrop. Regular beach activities are available here, and you can also grab a bite at one of the local eateries if you get hungry. Many people simply prefer to take a walk along the beach, and it’s easy to see why. The Monreale Duomo is a famous cathedral in Sicily which is well known for its wonderful design, both inside and outside. The bronze doors, which are covered in dozens of biblical scenes, were designed by none-other-than Bonanno Pisano, who was responsible for the Leaning Tower of Pisa. For a small fee you can even climb up to get a nice view of the town. The Valley of the Temples, is actually not a valley, but a ridge, and there are seven temples constructed in the Doric style back around the 5th century B.C. Each of the seven are dedicated to different deities like Zeus, Hephaestus, Hera and Heracles. It’s hard to put the beauty of these temples into words, although they are, of course, somewhat damaged. One can only imagine how beautiful they were back in the day. 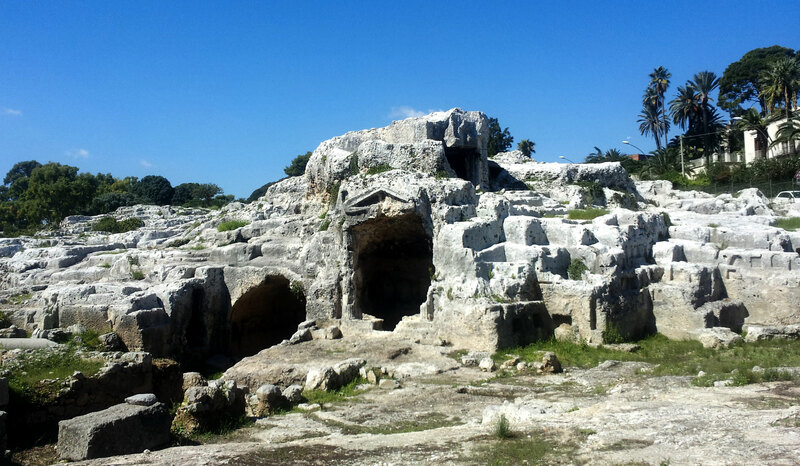 Visiting the Valley of the Temples is definitely one of the best things to do in Sicily thanks to how wonderful it is. The Teatro Massimo is a world-famous opera house and one of the largest ones in all of Europe. It’s highly popular thanks to its perfect acoustics. Puccini, Bellini or Verdi opera are just a few of those played here, and even if you don’t care that much about music, it’s worth visiting at least once, and perhaps even seeing one of the plays here. Parts of the Godfather movies were also shot here, making it popular among those who loved the movies. 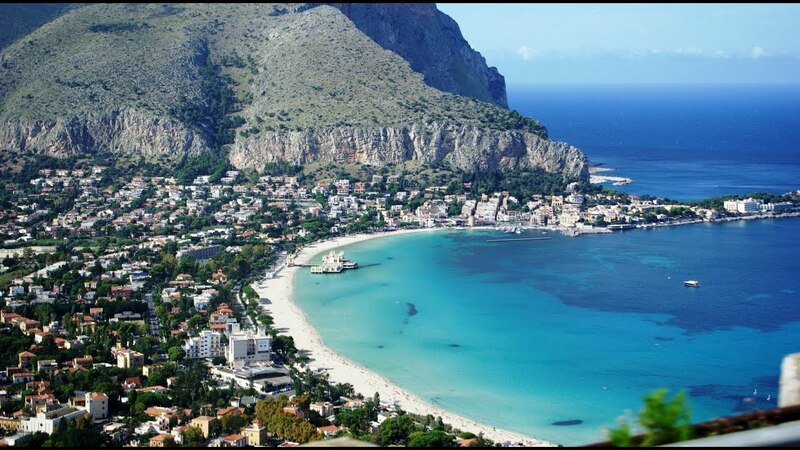 Mondello is a small borough of the city of Palermo and beloved by both citizens and tourists for its beautiful and excellent beach. Although not every part of is free, it is well worth the money as you won’t find much better ones. Many eateries can be found here, so you can try some local food while you wait for sunset, when the beach becomes even more spectacular, followed by the parties of the night. The Riserva naturale dello Zingaro was the first natural reserve set up in Sicily. The reserve has a large variety and abundance of rare and endemic plants, as well as a rich archeological history. At least 39 species of birds nest and mate in this reserve, mainly birds of prey, including the peregrine falcon, the common kestrel and the common buzzard. Coming here is one of the best things to do in Sicily if you like nature, since people usually come here to go hiking around the area. The Palermo Cathedral is a uniquely desisgned cathedral thanks additions being made to it throughout the centuries, so the magnificent church is now an assemblage of architectural styles, including Norman, Gothic, Neoclassical and Baroque designs, as well as the remnants of its Muslim heritage, since it was built on the site of a Muslim mosque. The treasury of the cathedral is also worth visiting. The Segesta Temple looks like a Greek temple, but it was actually built by Elymians, the indigenous people of Sicily. Not only is the temple held up by 36 Doric columns spectacular, but the view from the temple and around is perhaps even more wonderful. Don’t forget to also check out the ampitheatre near it. The Neapolis archaeological park includes the northern part of the Neapolis quarter (one of the five city-quarters of Syracuse in the Greek and Romans periods) where the most famous monuments of the city were built, including the Greek ampitheatre, the Roman ampitheatre, the Altar of Hieron II (a grand altar for public sacrifices) and the Street of Tombs, among others. The Cathedral of Syracuse is the main cathedral of city of Syracuse, and it’s interesting as its evolution shows the island’s various periods and rulers. Different additions were made to the original building supported by Doric columns, and now it also has a Baroque front, as well as many other additions which were either made after an earthquake or removed during restorations. The San Giovanni Crypt and Catacombs have a long history of extention, destruction, restoration and destruction again. Today only parts of the ruins remain. The crypt itself is quite imposing, but the main attraction are the catacombs that run underneath it. It’s an extensive underground necropolis dating from the fourth to sixth centuries, dissected by a network of main and side roads with round plazas where they meet. The Museo archeologico regionale Paolo Orsi is an archaeological museum in Sicily. Its collections range from prehistoric to Byzantine times, but the main displayed collection is from the Classical period (fifth-fourth centuries BC). The collections shown include some rare and beautiful works, such as a bronze tomb panel from the necropolis of Castelluccio, a sixth-millennium BC vase from the Stentinello civilization in Matrensa, and a number of other Bronze Age finds. 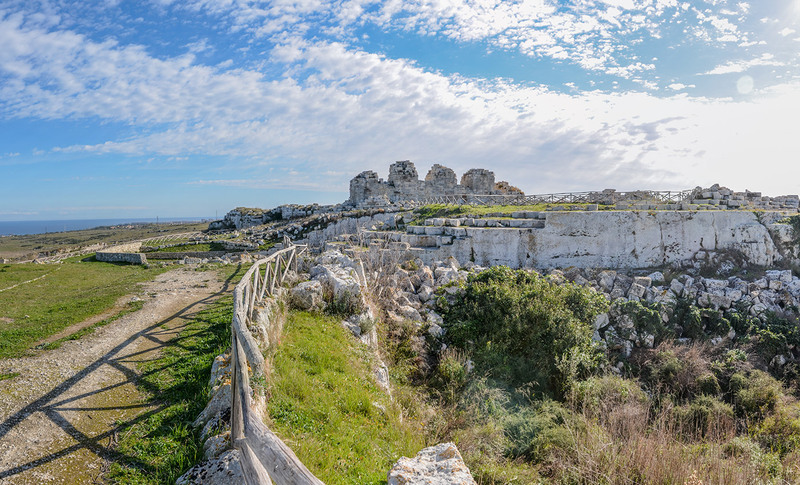 The Latomia dei Cappuccini is one of the 12 ancient quarries that provided building stone for Syracuse. It was originally underground, but large parts of its roof have collapsed from earthquakes and erosion, making it an open-air pit. The Capuchin monks in the neighboring monastery have created gardens among the rocks, making it a very beautiful area. It is also often used as an open-air theatre and for other events and festivals. The Temple of Apollo is one of the most important ancient Greek monuments in Sicily. 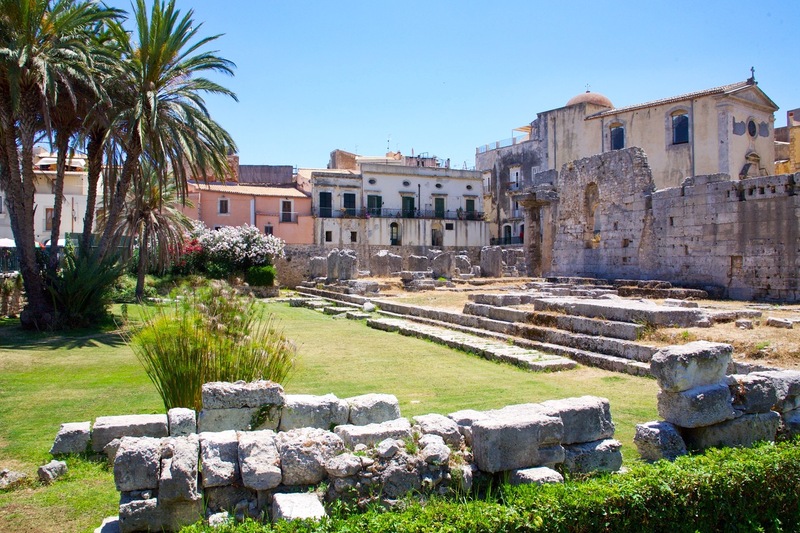 During its history it was turned into a Byzantine church, an Islamic mosque, a Norman church, and a Spanish barracks, reflecting Sicily’s various ruling groups. It was once a marvelous structure, but only ruins remain, although it’s still well worth a visit if you are interested in its history. The Foro Italico is a beautiful place for a walk, a promanade next to the see. Its seats under the trees may tempt you to sit down, relax and enjoy the shade and the sea view. 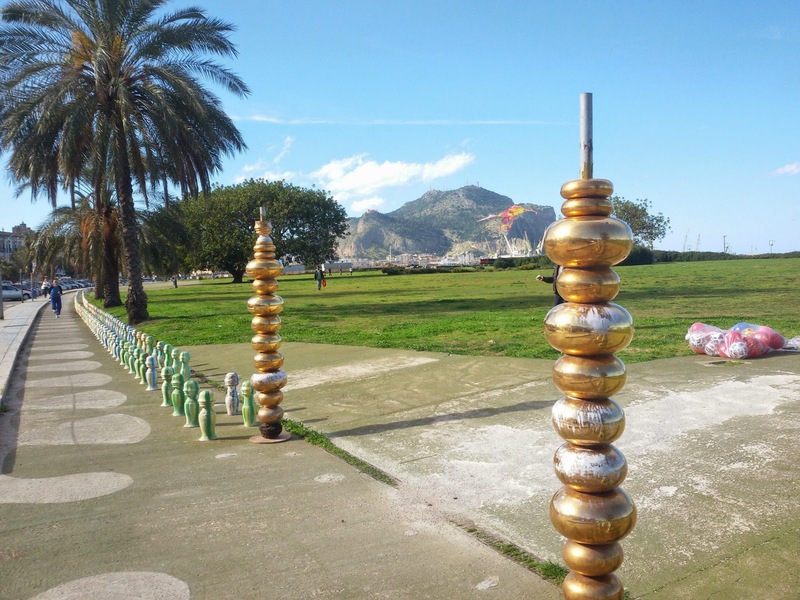 Mediterranean flora of various kinds, benches, trees, ceramic sculptures, a bike path, night lighting and a wide scenic walk along the coast await people who come here. The Fountain of Arethusa is located at one of the ends of the Foro Italico. According to Greek mythology, the fresh water fountain is the place where the nymph Arethusa, the patron figure of ancient Syracuse, returned to earth’s surface after escaping from her undersea home in Arcadia and was turned into the pond by the goddess Artemis. Eurialo Castle is one of the strongest fortifications still remaining from the times of the Greeks, built in the reign of Dionysius between 402 and 397 BC. The giant mirror constructed by Archimedes is said to have been used here to reflect the sun and set fire to the sails of the enemy fleet. The Galleria Regionale della Sicilia houses different kinds of art from the Early Christian period up to the beginning of the 16th century and even the 18th century. These include paintings, sculptures and even carriages. The Tomb of Archimedes is a tomb excavated and considered by some to be the tomb of the famous Archimedes. 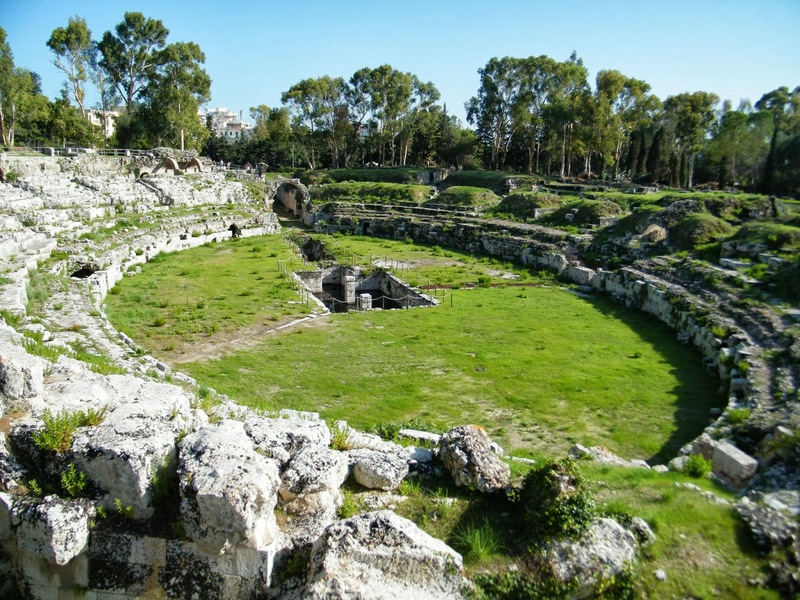 According to legend, the famous mathematician, who died during the Roman siege of Syracuse in 212 B.C., is buried here. Unfortunately, this wasn’t proven so far, but the fact remains that this tomb is worth a visit thanks to its spectacular design.